Cary, NC – While Cary is currently experiencing a business boom, you can still see remnants of closed industries around town, even near downtown. But one of those old buildings is getting new life as it will be home to Cary’s third brewery. 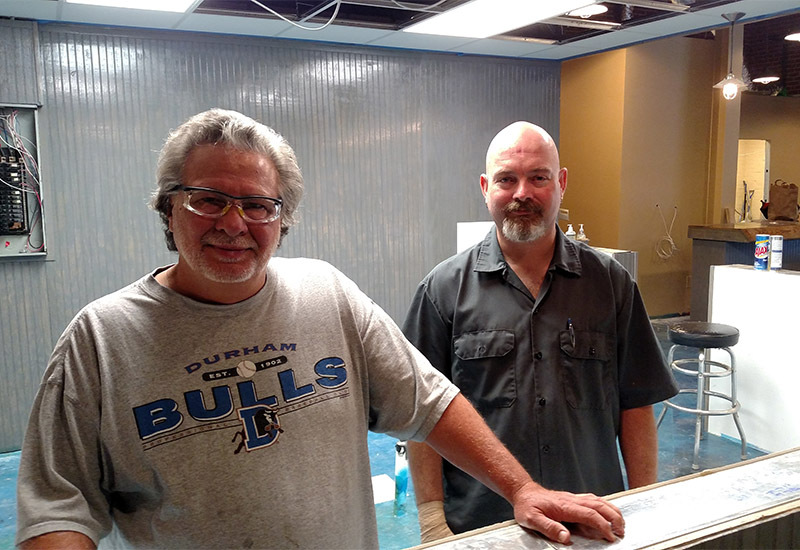 Jordan Lake Brewing is currently under construction, located on East Durham Road, in a space that was not even originally available to the two owners, Luke Carter and Charny Mitchell. But after working with the Town of Cary to get a permit, things are close to completion. “The town has been giving us a lot of support,” Mitchell said. Carter and Mitchell were neighbors who, in their words, loved beer. Carter worked in biotechnology and microbiology but after his position at GlaxoSmithKline closed, he had a choice to remain in the area or move to Philadelphia to stay with the job. Instead, Carter reached out to Mitchell, who did homebrewing, about possibly creating their own brewery. “And he said, ‘Yeah, that would be cool,'” Carter said. After working for a week at Goodhops on Carolina Beach, both knew what they needed to do and spent eight months looking for a location but didn’t come up with anything. Instead, Carter’s son-in-law, who works in restaurants, told them about the possibilities right in the local Cary/Apex area and they found the unused warehouse, setting everything into motion. Jordan Lake Brewing takes its name from the place where Carter and Mitchell spend much of their time. He said it would have a “lake-ish” atmopshere, with canoes hanging from the ceilings, lures on the wall and eventually an aquarium. Even the floor is painted a lake-blue color. 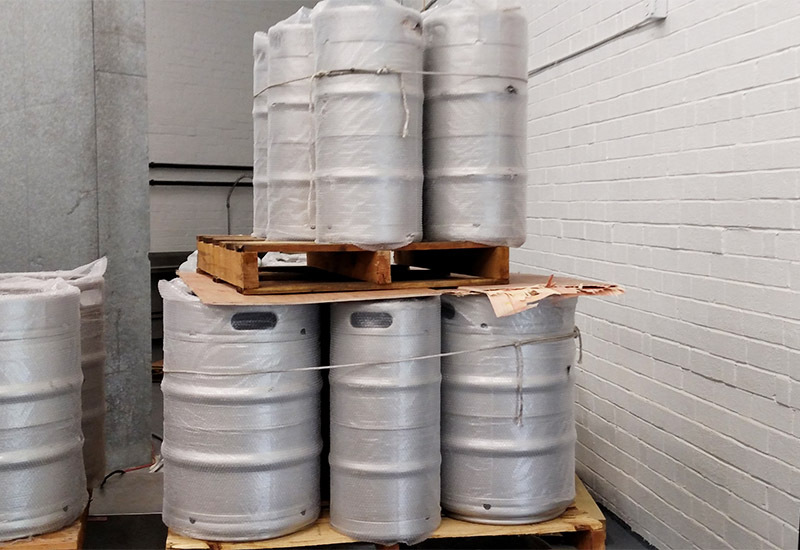 The brewery will have a tap room attached, taking advantage of the warehouse’s huge size. Carter said there will be classic bar amenities, such as dart boards, pool tables and corn hole boards. But there are also some unique touches. “We’ve got 100-year-old barn wood for the bar top,” he said, showing a polished sample next to the U-shaped bar. Some of the design is also meant to go together with the warehouse’s original look. It has a brick wall that Carter said has a great look but there are some large portions that are painted over. Sandblasting the paint off would have damaged the wall so Carter is painting wood to use to cover it up, giving the bar side a signature look in the process. 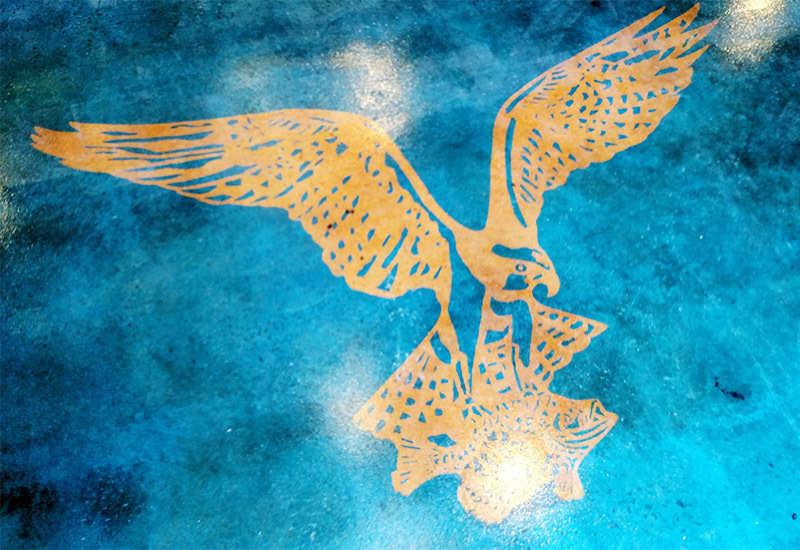 You can also find the brewery’s logo stenciled into the floor by the entrance. As for beer, Carter said they will start with eight. “We have light blond ales up to oatmeal stouts,” he said. Carter said there are plans for others already in the works, with recipes from IPAs, pale ales and browns on hand. “We made a sweet potato beer that turned out real well,” he said, though it will not be released this Fall. There are also plans for food trucks outside the brewery, with a target opening date by Thanksgiving. 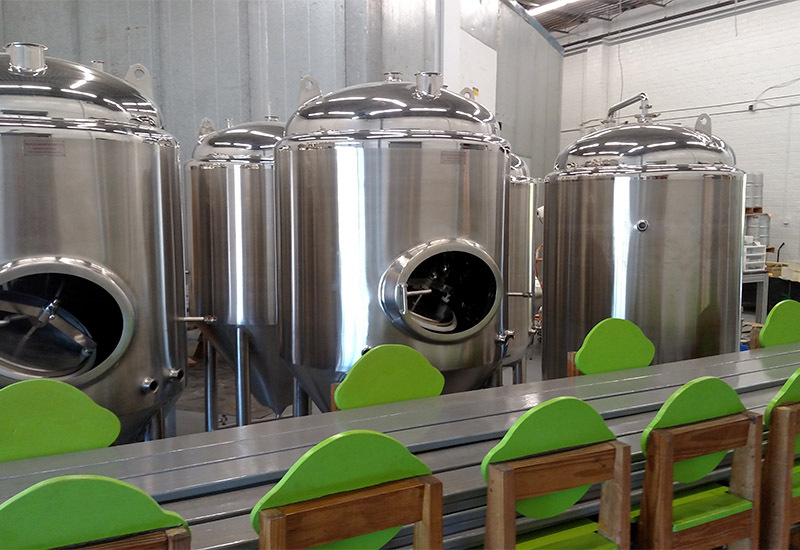 When it opens, you can find Jordan Lake Brewing at 320 E Durham Rd. Carter and Mitchell, left to right, behind what will be Jordan Lake Brewing’s bar.